An injection of cortisone into the space just outside the coverings of the spinal cord is sometimes done to relieve the constant and unforgiving pain of spinal stenosis. A simple cortisone injection into the spinal canal might give relief without taking the greater risks of spinal stenosis surgery. When spinal surgery goes bad – as it sometimes does – it can have grave and lasting consequences. For this reason the decision to have a cortisone injection to control spinal stenosis pain should be discussed with your doctor. An injection of cortisone into the space outside the dura (the epidural space) can temporarily relieve symptoms of spinal stenosis, sometimes for many years and if no further aggravation of the low back occurs might be the last low back therapy you will need. While injections are seldom thought of as curative, these spinal stenosis cortisone injections offer some degree of pain relief that often lasts for a few weeks to many years in about 50% of cases. Up to three injections over a course of several months can be tried. Although they are not considered diagnostic in and of themselves, generally, if the pain caused by spinal stenosis is relieved by an epidural steroid injection then the patient can also be expected to have a good result if they later choose to have spinal stenosis surgery. The primary goal of spinal stenosis surgery is to remove those boney or fibrous spinal structures that are compressing the nerves in the spinal canal or the vertebral foramen. The procedure used to relieve the pressure on nerve tissue in the low back is commonly referred to as lumbar decompression surgery (foraminotomy, laminectomy and laminectomy). Spinal stenosis surgery is best indicated for anyone who does not improve with conservative measures (rest, exercise, hot/cold applications, stretching, chiropractic manipulation, etc.) or if severe and rapidly progressive weakness or loss of bowel or bladder function occurs. Depending on the results of physical examination findings and imaging studies, various surgical procedures can be used to treat the non-responsive lumbar spinal stenosis patient, from laminectomy to multiple fusion procedures. Generally, stenosis surgery is more reliable for relief of sciatica leg symptoms and less reliable for relief of lower back pain symptoms. 1. Get a sense of the level of confidence that the surgeon has a clear and detailed understanding where your spinal stenosis is located. The doctor must know exactly what he/she is going to do and where the problem is located during stenosis surgery. You do not want your doctor saying something like, “Well, we will just go in there and look around to see if I can figure out what is giving you so much pain.” Or, “I am not positive where your problem is located. I will have to find the area of irritation when I go in and remove it.” That indecision is a good way for both you and the surgeon to get into trouble. This is especially true if yours is a complex problem with more than one location that is being impinged upon, or if both sides of the spine must be opened. If your doctor cannot speak with confidence about the surgery before doing it, then the final results might not make you pleased. You might want to find a doctor to do the spinal stenosis surgery who more clearly understands your lower back pain problem. 2. Ask about the possibility that the stenosis surgery might cause new problems or worse problems for you than you now have. It is good to discuss the possibility of injury to nerves in the area, or if the surgery will cause instability and weakness of the spine that you currently do not have now. Along this same line of thought you want to assure that this stenosis surgery should not cause a new situation to develop that might require an additional surgery later. If you learn that there are other techniques of spinal stenosis surgery that will cause fewer problems later, then you might want to consider finding another surgeon who does this kind of operation. 3. Ask the surgeon if the method that will be used to correct or to temporarily relieve your spinal stenosis. It makes sense that you might want to think twice about undergoing spinal surgery today, if you will only have to do it again at a later time. 4. Ask if the type of surgery that is being offered to you is the least invasive technique that is available and is the most commonly used for the kind of problem you have. Ask if the method of spinal surgery will be minimally destructive of normal structures in the area and near important nerve structures. Ask if the technique and method of stenosis surgery will leave as much as possible of the normal or slightly abnormal tissues alone. If you are told that there are other methods that destroy less normal tissue, then you might want to determine who can do that more conservative kind of surgery. 5. 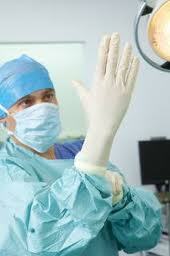 Ask if the surgery can be done under an epidural anesthetic instead of general anesthesia. Spinal stenosis surgery for decompression of nerve tissue when done under general anesthesia is stressful for the patient since it is often a many-hour procedure. Some patients cannot tolerate this kind of metabolic and physical stress. If you learn that this surgeon prefers to work with a patient under general anesthesia, be sure to find out why. Ask if there would be the reason that you could be an exception, and if this risk is justified in your case. If you are not satisfied with the answers then it might be better to find a different surgeon who can safeguard your safety during your stenosis surgery. 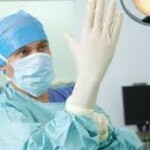 Many surgeons have a favorite approach to surgery, or specialize in a limited range of surgeries. Some surgeons have been given training in a limited number of procedures – and the procedure your surgeon is trained to do might not be the best one for you. It would be like you going to a barber who only gave crew cuts, but you needed to have a long hair style. That situation could pose a problem for you. Ask as many questions and learn as much as you can before having spinal stenosis surgery for the best possible outcome.